It's one thing to counterfeit a twenty or hundred dollar bill. The amount of financial damage is usually limited to a specific region and only affects dozens of people and thousands of dollars. Secret Service agents quickly notify the banks on how to recognize these phony bills and retail outlets usually have procedures in place (such as special pens to test the paper) to stop their proliferation. A recent discovery -- in October of 2009 -- has been suppressed by the main stream media but has been circulating among the "big money" brokers and financial kingpins and is just now being revealed to the public. It involves the gold in Fort Knox -- the US Treasury gold -- that is the equity of our national wealth. 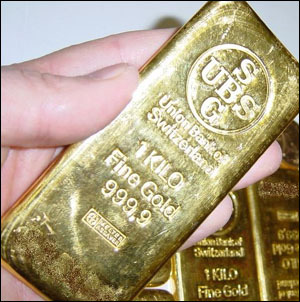 In short, millions (with an "m") of gold bars are fake! Officials were shocked to learn that the bars were fake. They contained cores of tungsten with only a outer coating of real gold. What's more, these gold bars, containing serial numbers for tracking, originated in the US and had been stored in Fort Knox for years. There were reportedly between 5,600 to 5,700 bars, weighing 400 oz. each, in the shipment! At first many gold experts assumed the fake gold originated in China, the world's best knock-off producers. The Chinese were quick to investigate and issued a statement that implicated the US in the scheme. Roughly 15 years ago -- during the Clinton Administration [think Robert Rubin, Sir Alan Greenspan and Lawrence Summers] -- between 1.3 and 1.5 million 400 oz tungsten blanks were allegedly manufactured by a very high-end, sophisticated refiner in the USA [more than 16 Thousand metric tonnes]. Subsequently, 640,000 of these tungsten blanks received their gold plating and WERE shipped to Ft. Knox and remain there to this day. According to the Chinese investigation, the balance of this 1.3 million to 1.5 million 400 oz tungsten cache was also gold plated and then allegedly "sold" into the international market. Apparently, the global market is literally "stuffed full of 400 oz salted bars". Perhaps as much as 600-billion dollars worth. Manhattan, New York, --Feb. 2, 2004. A top executive at the New York Mercantile Exchange is being investigated by the Manhattan district attorney. Sources close to the exchange said that Stuart Smith, senior vice president of operations at the exchange, was served with a search warrant by the district attorney's office last week. Details of the investigation have not been disclosed, but a NYMEX spokeswoman said it was unrelated to any of the exchange's markets. She declined to comment further other than to say that charges had not been brought. A spokeswoman for the Manhattan district attorney's office also declined comment." The offices of the Senior Vice President of Operations -- NYMEX -- is exactly where you would go to find the records [serial number and smelter of origin] for EVERY GOLD BAR ever PHYSICALLY settled on the exchange. They are required to keep these records. These precise records would show the lineage of all the physical gold settled on the exchange and hence "prove" that the amount of gold in question could not have possibly come from the U.S. mining operations -- because the amounts in question coming from U.S. smelters would undoubtedly be vastly bigger than domestic mine production. No one knows whatever happened to Stuart Smith. After his offices were raided he took "administrative leave" from the NYMEX and he has never been heard from since. Amazingly, there never was any follow up on in the media on the original story as well as ZERO developments ever stemming from D.A. Morgenthau’s office who executed the search warrant. 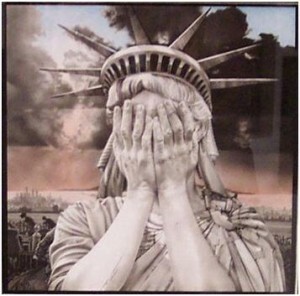 Are we to believe that NYMEX offices were raided, the Sr. V.P. of operations then takes leave -- all for nothing? LONDON, April 14, 2004 (Reuters) -- NM Rothschild & Sons Ltd., the London-based unit of investment bank Rothschild [ROT.UL], will withdraw from trading commodities, including gold, in London as it reviews its operations, it said on Wednesday. The Gold Antitrust Action Committee (GATA) is an organisation which has been nipping at the heels of the US Treasury Federal Reserve for several years now. The basis of GATA's accusations is that these institutions, in coordination with other complicit central banks and the large gold-trading investment banks in the US, have been manipulating the price of gold for decades. GLD is a short form for Good London Delivery. Fineness: the minimum 995.0 parts per thousand fine gold. Marks: Serial number; Assay stamp of refiner; Fineness (to four significant figures); Year of manufacture (expressed in four digits). On Aug. 5, The Federal Reserve responded to this FOIA request by adding two more documents to those disclosed to GATA in April 2008 from the earlier FOIA request. These documents totaled 173 pages, many parts of which were redacted (blacked out). The Fed's response also noted that there were 137 pages of documents not disclosed that were alleged to be exempt from disclosure. If you are going to print fake money you need to have the special paper, otherwise the bills don't feel right and can be easily detected by special pens that most merchants and banks use. Likewise, if you are going to fake gold bars you had better be sure they have the same weight and properties of real gold. The problem with making good-quality fake gold is that gold is remarkably dense. It's almost twice the density of lead, and two-and-a-half times more dense than steel. You don't usually notice this because small gold rings and the like don't weigh enough to make it obvious, but if you've ever held a larger bar of gold, it's absolutely unmistakable: The stuff is very, very heavy. The standard gold bar for bank-to-bank trade, known as a "London good delivery bar" weighs 400 troy ounces (over thirty-three pounds), yet is no bigger than a paperback novel. A bar of steel the same size would weigh only thirteen and a half pounds. The first exception is depleted uranium, which is cheap if you're a government, but hard for individuals to get. It's also radioactive, which could be a bit of an issue. A top-of-the-line fake gold bar should match the color, surface hardness, density, chemical, and nuclear properties of gold perfectly. To do this, you could could start with a tungsten slug about 1/8-inch smaller in each dimension than the gold bar you want, then cast a 1/16-inch layer of real pure gold all around it. This bar would feel right in the hand, it would have a dead ring when knocked as gold should, it would test right chemically, it would weigh *exactly* the right amount, and though I don't know this for sure, I think it would also pass an x-ray fluorescence scan, the 1/16" layer of pure gold being enough to stop the x-rays from reaching any tungsten. You'd pretty much have to drill it to find out it's fake. Such a top-quality fake London good delivery bar would cost about $50,000 to produce because it's got a lot of real gold in it, but you'd still make a nice profit considering that a real one is worth closer to $400,000. The manufacture of fake gold bars goes back years and, because of this, it is not likely that the originator of this scheme will ever be revealed or brought to justice. Meanwhile the world is just beginning to learn that much of its national reserves of gold may be fake. 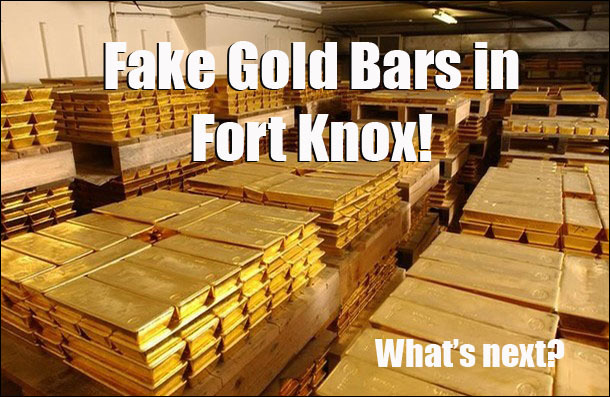 If more testing reveals that this gold was guaranteed by Fort Knox and the US Treasury then perhaps they will demand an exchange for "real" gold -- wouldn't you? Some investors are already selling gold commodities before these facts are widely known. They are investing instead in silver -- the next best metal. This will undoubtedly drive silver prices up. According to Jim Willie, 24 year market analyst and Ph.D in statistics, "The bust cometh, and it will be spectacular. The stories told in the press will be peculiar, since not told objectively. The headlines might be a comedy, with phony reports of foreign subterfuge, when the perpetrators are home grown." This is yet another story in the decline of America and capitalism -- a decline based on greed, deception and fraud. Gold Plated Tungsten BarRecently, the German television station ProSieben ran a news story covering W. C. Heraeus in Hanau, Germany, the world's largest privately owned refinery. In the story, Wilfried Horner, the head of the gold foundry, shows a 500 gram bar (16.0755 troy ounces) received from an unidentified bank. The bar had the right physical dimensions to be an authentic gold bar, but one of the Heraeus employees suspected something funny. After the bar was cut in half, you can see that the inside is tungsten, with only a coating of gold on the outside. Last fall, Rob Kirby of Kirby Analytics in Toronto reported that China's central bank had discovered some 400-ounce gold-plated tungsten bars among those it had recently received from bonded warehouses. It was later learned that at least four counterfeit bars were found and that all had come from sources in the United States. As suspicions grow about counterfeit bars among those held in bonded warehouses for delivery against either COMEX or London Bullion Market Association contracts or shares of exchange traded funds, investors could panic. So, you can understand that there has been almost a total blackout on news coverage on this story. 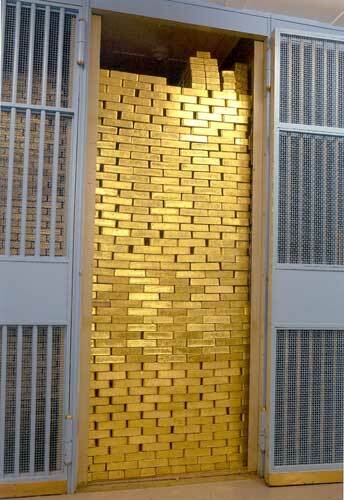 A near-perfect place to hide tungsten-plated gold bars would be in the vaults storing the physical gold assets of the gold ETFs, such as GLD. Never to see the light of day. I would recommend selling GLD and other gold ETFs and buy physical, pre-1933 gold coins. As long that it sits there at the reserve taking up space; real or not just as well be a figment of the imagination. How idiotic to presume the Chinese would accept the bars without an examination. The premise of the whole Rothchild dynasty was based on false principals. A product of ill bred, worthless owners with powers that make one tremble beyond the dangers of the big bomb. One statement stood out for me in the article, "If more testing reveals that this gold was guaranteed by Fort Knox and the US Treasury then perhaps they will demand an exchange for "real" gold -- wouldn't you?" I would have thought the author would have explored the ramifications that such a scene would entail for the average citizen. 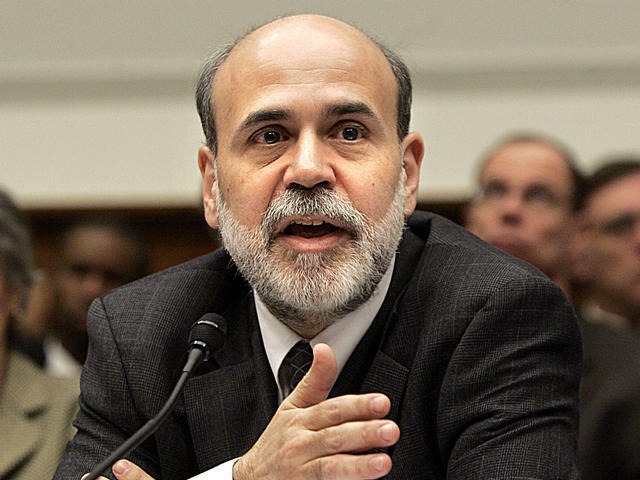 In recent years a great hoard of US citizens have been buying gold as a hedge against collapse of the financial system. If the government is forced to make good on the gold, who do you think will be called upon to make up the shortfall? Confiscation of gold would be a forgone conclusion. The records of purchase would be readily available to BigGov snoops. The laws enforcing the confiscation would be quickly enacted by congress and you'd be given a receipt by Uncle Sam. On the subject of silver...I have always prefered domestic silver coins to gold for barter purposes in case of financial collape. Think of it. If you needed to purchase a $2 loaf a bread for your family, how would you do that with a 1oz gold bar or coin worth $1,100? However if you had silver dimes, quarters and halves you'd be more likely to find an equal exchange for the purchase. Simple enough. The downside of bulk and weight of silver coin, is nevertheless overcome by the utility of use when you really need it. If you must buy gold, do as the congress does, buy pre-1933 minted gold coins (relatively unconfiscatable). The constitution demands that you be paid just and fair compensation for property whenever confiscation under emanant domain laws is exercised. Since each individual coin has an intrinsic value, other than that of its gold content by weight, which is based opon date, condition and rarity it would be virtually impossible for the govt. to assess the individual value of the millions of individual antique coins in private collections. The only people qualified to do such assesments are a limited number of private companies that grade and asses coin values. Of course the gigantic logistic problems are obvious. However, there is the possibility that the constitution will be bypassed (they're trashing it every day anyway) without a constitutional ammendment and ratification by the states. If that happens, all will be lost anyhow and we'll all have to move to the antarctic or someplace equivalent in order to spend our gold coins and live free. So, what's the relationship between this story and the 9/11 report of trucks full of gold being found under the wreckage of the twin towers and reports of other similar trucks evacuating the area BEFORE the collapse...as if someone knew when the red-flag attack would take place? Sir, There is a non-destructive means to test bullion for inclusions. As a Machine Shop Inspector for the Boeing Company I used an eddy current instrument to check plating thickness of finished machined parts. Its transducer puts out a signal which bounces off the substrate, telling the Inspector how much distance from the probe on the surface to the substrate (plating thickness). This instrument was calibrated in thousandths of an inch, but there are machines in industry which can read in a scale that would be useful for thicker (1/8 inch) platings as mentioned in the article. An Inspector would need 5 to 10 minutes per bar to inspect and document. A certain minimum number of readings covering all surfaces would be made. As this is not new technology, I imagine that Fort Knox has already done so, and not told us. ...or they already know if indeed they are the perpetrators.